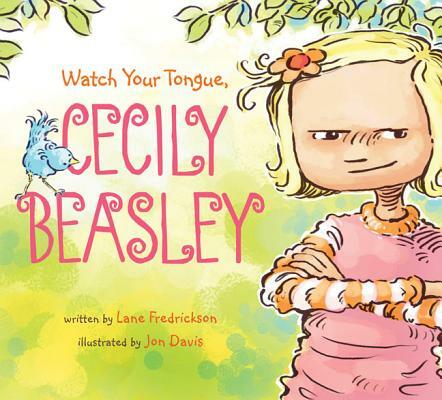 Cecily Beasley is never polite--she won't say thank you, please, or goodnight. She slurps her food, refuses to share, and sticks her tongue out everywhere. But this rude little girl gets her comeuppance in this rambunctious, rhyming picture book that makes its point with irresistible humor. Every child has heard the words, "Don't make that face. It might freeze that way " Well, that's exactly what happens to Cecily--and to make things worse, a bird builds a nest on her outstretched tongue But only when the chicks hatch will Cecily finally learn a lesson she'll never forget. Lane Fredrickson is a veteran of the United States Air Force. She holds a degree in psychology and is working toward a degree in English. Cecily Beasley is Lane's first published children's book. She lives in Delray Beach, FL. Jon Davis's illustration career began in 3D animation, but he felt a stronger pull toward children's books and began working in the field just a few years back. He has several projects planned for release in 2012 and 2013. Jon lives in London.